Uppersia Iran Travel blog: We have got camels in Iran! We have got camels in Iran! One hump camels, these strong and weird creatures, have been so useful to Iranians, since ancient times. The desert residents have used camel’s milk and meat as nutritious food and its wool or hair was used for making clothes, tents and carpets. The people living in deserts of Iran also used camels for transportation on long journeys due to the strong body of this patient animal, able to bear thirst and hunger for days. 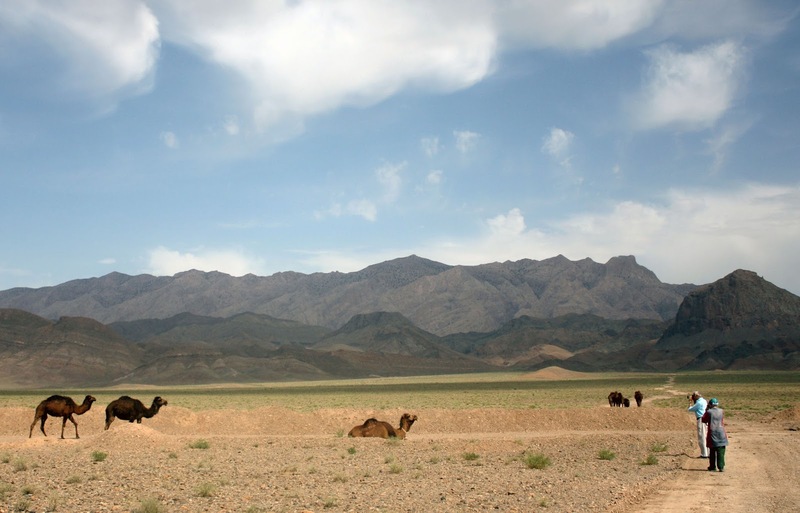 Different species of camels are still available in central, southern and eastern areas of Iran, like Bandar-Abbas, Zahedan, Yazd, Kerman, deserts of Isfahan and Semnan. Camel riding competitions are held in Bandar-Abbas, Maranjab desert (In Isfahan province), Yazd and Chabahar, every year and it is so exciting to watch trained camels running so fast toward the finishing line! Desert tour is now available in Iran and it includes riding camels through Maranjab desert on ancient Silk Road that lets you empathize with the people who passed this road and desert thousands of years ago, watching millions of stars at night and sleeping in a restored caravansary, dating back to Safavid era. You can also taste delicious camel kebab and ride safari cars on sand hills and offer yourself an enthusiasm. Uppersia travel is available for arranging unforgettable desert tours for you and your friends, where you can see these patient animals and enjoy the beauty of Iran’s deserts. Persiancaravanserais tour is a popular one among tourists, operated by Uppersia. tourists taking photos of camels in Iran's deserts. Iranian pottery, labor of love. Gonbad- e Qabus, high as sky! Zagros, land of rise and falls. Susa, home to ancient emperors. Iran has 2500 traditional cuisines! Yazd and Meibod, cities of handicrafts. Iranian visa on arrival extended to 90 days.